Tech billionaire Bill Gates has invested in a huge patch of land west of Phoenix, Arizona, with the intention of building a new smart city. Mt Lemmon Holdings – an affiliate of Gates' firm Cascade Investment – has paid $80 million for a stake in almost 25,000 acres of unpopulated desert. The area is reportedly earmarked for the construction of an urban community that will integrate technologies like high-speed internet, connected infrastructure and driverless cars. The city will be known as Belmont after real-estate developer Belmont Partners, the company behind the project. "Belmont will create a forward-thinking community with a communication and infrastructure spine that embraces cutting-edge technology, designed around high-speed digital networks, data centres, new manufacturing technologies and distribution models, autonomous vehicles and autonomous logistics hubs," said a statement from Belmont Partners, according to 12 News. Roughly 3,800 acres will be devoted to office, commercial, and retail space, while 470 acres will be set aside for public schools. Around 80,000 residences will also be created, forming a population of approximately 182,000. "Comparable in square miles and projected population to Tempe, Arizona, Belmont will transform a raw, blank slate into a purpose-built edge city built around a flexible infrastructure model," said Belmont Partners. 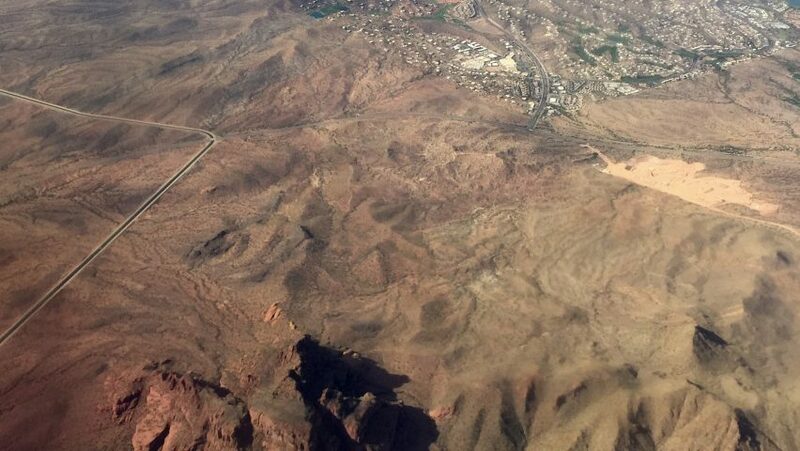 The land around 50 miles (80 kilometres) west of Phoenix sits on the proposed route of the Interstate 11 freeway, which will connect the state capital and Las Vegas if it goes ahead. The area has been poised for development since the early 1990s, but plans have stalled several times. Gates' involvement was initially kept quiet, but multiple reports tie him to the project. "Property records list the investment group's tax mailing address as the Kirkland, Washington, headquarters for Cascade, and an office for the Bill and Melinda Gates Foundation," said news site AZ Central. The Microsoft founder has largely dedicated his time to philanthropic efforts since stepping down from the technology company in 2006. Belmont is the latest smart city to be announced, after Google's sister company Sidewalk Labs unveiled plans to construct an entire new future city on the Toronto waterfront. A hi-tech satellite city called Songdo, in South Korea, has already been constructed – although architect and television presenter Jason Pomeroy recently told Dezeen that cities like Barcelona and Amsterdam are doing a better job of integrating technology than new purpose-built urban areas.